After the dismissal of our founding pastor, our church was devastated. Everyone left who was in favor of our pastor. Everyone left who was against our pastor. And, all of the staff left, except for me. There I was with the 85 remaining members praying about what to do. It was a hard year. On the very last Sunday of that year, our new pastor joined us, and hope reappeared. Our church started growing — not dramatically, but consistently. Everybody didn’t need to know everyone, but everybody needed to know someone. We knew it was time to start groups. I attended conferences, read books, and interviewed other pastors about small groups. The more information I collected, the more confused I became. We launched our groups for better or worse. Some of what we experienced was better than expected. The things we didn’t expect were worse. 1. Small Groups Connected Our People Like Never Before. As our church continued to grow, we didn’t want to see people get lost in the shuffle or fall through the cracks. Even though they didn’t come all at once, they were coming in a steady stream. We needed to start connecting and discipling folks ASAP. As our couple of Sunday school classes and our midweek Bible study were declining, we found that groups were a great place for people to connect and go deeper into God’s Word. We offered a variety of curriculum for our groups to choose from. Since we only started with a few groups, it was easy to keep an eye on them and know what was going on. If a group started to stray toward the “loony fringe,” we very gently guided them back into the fold. Things were under control. We made announcements in the services, sent postcards in the mail and emails, and featured groups regularly in the church bulletin. Our groups started to gain momentum. In fact, we couldn’t recruit new leaders fast enough to keep up with the demand. 2. A Quality Group Experience Starts with Quality Leaders. The easiest place to start was to round up the usual suspects. You know, the folks we counted on for everything. I personally invited board members and founding members as well as other solid citizens. It didn’t take much effort to quickly find 10 willing leaders who I believed would offer a quality experience. Admission: I also knew that they wouldn’t cause any problems for me. I was wearing a lot of other hats like children’s ministry, leading worship, and overseeing all of our ministries, plus speaking on Wednesday nights and occasionally on Sundays. I did not need any more problems. I had enough already. We weren’t reaching for explosive growth. After all, since our church was growing steadily, but incrementally, we felt the gradual growth of groups would serve us well. I mean, we weren’t Saddleback or Willow Creek. There was something special about them. Normal churches like ours weren’t seeing huge percentages of people connected into groups…at least not yet. We offered the groups to our people, and they signed up. Once the groups were full, then the rest of the folks who wanted to join a group had to hang out in the midweek Bible study with me or in a Sunday school class until the next batch of group leaders were ready to go. Even though we let a year pass before we offered groups again, we launched six more groups the following year and quickly filled them up as well. Things were going well in the “trouble-free” department. Our groups were coming along. And, our church kept growing steadily. Value: A quality group experience starts with a quality leader. 3. Don’t Skimp on Coaching and Training. Every year I would gather my new recruits into a “turbo group” by way of Carl George and his book, Prepare Your Church for the Future. We spent six weeks as a small group with the intention of every leader or couple starting their own group when the training was over. I trained them on why groups were important; how to deal with various issues in the group like over-talkers and conflict; how to recruit an apprentice leader; and how to birth a new group. The training was in the format of a small group, so based on a Bible study, I was modeling a group meeting while I was training the leaders. After the training ended, and the leaders started their new groups, we met monthly for group huddles. While I did have a couple of other people helping me coach the leaders, I was still learning about group life myself, so I did all of the training and led the monthly huddles. The coaches visited groups and connected with the leaders. Result: We developed a solid groups system with 30 percent of our adults in groups. As our church continued to grow, our groups also continued to grow. Groups weren’t keeping pace with the growth of the church, but we achieved 30 percent in groups, which somebody told me once put us in the top 1 percent of all churches in the U.S. — not too shabby. The plan was for every group leader to indentify and train an apprentice leader. Then, once a year, the group would help a new group get started either by the leader starting a new group, the apprentice starting a new group, or the group dividing into two groups. With group multiplication and the new recruits I was inviting, we were on a good pace to double our groups or better every year. I looked forward to the day when group attendance would exceed worship attendance. But, it started to feel like I needed another 100 years to catch up with the increasing size of the congregation. Secret #1: Small Groups Connected Our People Like Never Before. Secret #2: A Quality Group Experience Starts with Quality Leaders. Secret #3: Don’t Skimp on Coaching and Training. Failure #1. The way we recruited leaders and launched groups couldn’t keep pace with the growth of the church. The harder I tried to recruit more leaders and launch groups, the behinder and behinder I got. Some years we started 10 groups. Other years we started two groups. One year my training yielded zero new groups. As the church continued to grow by 13 – 33% per year, our group formation just couldn’t keep up. More people were getting lost in the shuffle, and more leaders were not stepping up at the rate we needed them. I thought I had a good thing going by recruiting well-known people myself. The problems were kept at a minimum. But, now we faced a much bigger problem — where were the leaders going to come from? Failure #2: Our leaders couldn’t identify an apprentice leader. I put a lot of pressure on the group leaders to identify and train their apprentice. After all, the future of our small groups depended on apprentices, or at least, that’s what it seemed like. In every huddle and every encounter with the group leaders, I would emphasize the significance of raising up an apprentice leader. My words didn’t fall on deaf ears. They fell on stressed ears. The apprentice strategy was going nowhere good. Failure #3: No one wanted to give up their group to start a new group. Since the group leaders weren’t recruiting apprentices, I took the initiative to recruit potential leaders right out of their groups. There were great candidates right under the noses of the group leaders, but they just didn’t see them. I did! Before they knew it, the new recruits were in my Turbo Group and headed toward leading their own group. The only problem was that while these potential leaders agreed to participate out of loyalty to me and the church, their hearts weren’t in it. They didn’t want to give up the group they loved. They were torn. After the six weeks of training was complete, instead of going forward with a new group, many of them went back to the group they came from. This wasn’t progress. This was regress. My efforts were actually working against me. While we had 30 percent of our adults in groups, and our church was allegedly in the top 1 percent of all churches in the U.S., I felt like a loser. The church continued to grow. The groups were stuck. No new leaders. No new groups. No apprentices. So, I gave up on this strategy. At the end of my time at this church, 125 percent of our weekly adult attendance was connected in groups. I want to share with you a new strategy we created to recruit more leaders, form more groups faster, and maintain a quality group experience. This is my interview with Doug Fields, the author of Intentional Parenting. Doug serves as the Executive Director of HomeWord’s Center for Youth/Family at Azusa Pacific University, co-founder of downloadyouthministry.com, and the author of more than 50 books. He previously served on staff at Saddleback Church, Lake Forest, CA with Rick Warren, and South Coast Community Church (now Mariners Church). Doug is currently a Teaching Pastor at Mariners Church, Irvine, CA with Kenton Beshore. Please forgive the recording. It did not come out quite as well as I had hoped, but the Doug’s content is solid. So, maybe listen to this and not watch it! Relationships are far more important than programs or processes. While churches may offer training through a baseball diamond or a growth track, the relationships in a person’s life are far more influential than any short class can be. Besides no person comes into a church exactly the same way. Some come from great homes. Others from terrible ones. Some are fairly mature. Others are very broken or haven’t admitted their brokenness. Some are self-righteous. Others are ashamed. Every person who walks through the door is different than the last one. The church “factory” lacks the consistent “raw materials,” therefore, the widgits won’t turn out to be identical once the process has been imposed on them. We used to be a society where people were born into community, then had to discover their individuality. Now, we are a society of individuals seeking community. Big makes them feel isolated. Small is what works. This is why churches like North Point led by Andy Stanley reportedly have some 60,000 people in groups. This is why Saddleback Church founded by Rick Warren has thousands and thousands of groups for their church-wide campaigns. This is also why a church of 50 people at Dallas Baptist Church, Dallas, PA, created their own small group curriculum and connected 100 people into groups. Rock concerts are great, but then again, so are intimate dinners with a few friends. When a church reaches 250 in attendance, you hear the congregation saying “I don’t know everybody anymore.” When the church grows to 400 or so and has multiple services, the congregation says, “I can’t find the people I know.” If the church is much bigger than that, people simply don’t know where to start. How do they get to know people? How do they connect with new Christian friends? Very soon you realize that one size does not fit all and that your groups need to catch up in a hurry. The early church met in temple courts and house to house (Acts 5:42). In our day, the temple courts would represent the weekend worship service. And, house to house would mean house to house (or Waffle House). While there’s a place for the old country church and the mega-, giga-, tetra- church, if the church has more than 25 people, then groups should be a serious consideration. Years ago, I was coaching a church of 42 people in Georgia. The pastor started four groups, whose membership exceeded the size of the congregation. He showed up at our training event with his volunteer small groups director. Sometimes small is too big. When it comes to church, size does matter. The ideal size is somewhere in the range of 3-30 people meeting in a home. If you currently have 50 percent of your adults in groups, you have accomplished more than most people would ever hope for. Your success, however, is also your greatest obstacle. As Jim Collins says, “Good is the enemy of great.” You have potential for greatness. This is no time to rest on your laurels. Now, if you just reached 50 percent in groups in your most recent launch, then there is certainly reason to celebrate. If you’ve been at 50 percent for a while, then there is cause for concern. It’s time to change things up a bit. You’re at a great spot. Half of your people have said “yes” to groups. But, let’s not become overly optimistic here. 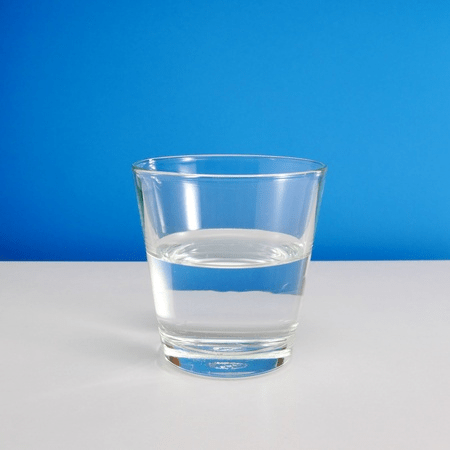 While you’re glass is half full, it is also half empty. An equal number of people have said “No” to your invitation. No single strategy will connect all of your members into groups. It simply does not exist. So, before you decide to scrap the strategy that helped you connect 50 percent into groups, please embrace this fact: it’s a dumb idea to toss what is working for this many people. Now, am I calling you dumb? Of course not, because you’re not going to scrap your strategy. Keep your strategy, but let’s build on it. If one strategy could connect 100 percent or more of your congregation into community, then every church would have 100 percent of their people in groups. While there are some significant examples of this level of connection like The Lutheran Church of the Atonement, Barrington, IL or Van Dyke Church, Lutz, FL, most churches are not soaring with the eagles. They are clucking with the chickens on this. If you’ve connected 50 percent of your people by handpicking leaders and manually assigning people into groups, then you should be in the Guinness Book of World Records. If you’ve started groups with the H.O.S.T. strategy out of Saddleback or Group Link from North Point, you can persist with these methods and get a little bit further, but eventually the strategies will run out of steam and you will be stuck at 66 percent. To get well beyond 50 percent in groups, you need to change something up. Remember, give them something to say “Yes” to! Maybe it’s time to redefine the size of the group. Not every group needs to be 10-12 people. Some groups could be 4-5 people. Other groups could be 25 people. The size depends more on the leader than anything else. If you’ve been purchasing curriculum, maybe it’s time to create your own. Your senior pastor’s video teaching will be far more popular with your congregation than anyone else’s curriculum. And, your pastor’s curriculum will be far more popular with your pastor too. His buy-in will take your leader recruiting and group formation to a whole other dimension. Maybe it’s time to add a second or third strategy to what you are already doing to form groups. Please notice I said “add” not “replace.” I’ve seen too many churches wreck a good strategy in favor of an elusive one. If you are handpicking leaders, then add the host strategy to the degree you feel comfortable. If you are using the host strategy, then make it more flexible by allowing leaders to form “Invitation Only” groups where they invite everyone in the group. Don’t make a wholesale change. If you’re not sure if an additional strategy will work for you, then run a low risk pilot first. If it succeeds, then proceed. If it doesn’t, well, sometimes experiments blow up. Having 50 percent of your people in groups is a good place to be. With a few tweaks and changes, you could end up at a great place to be. Change something!